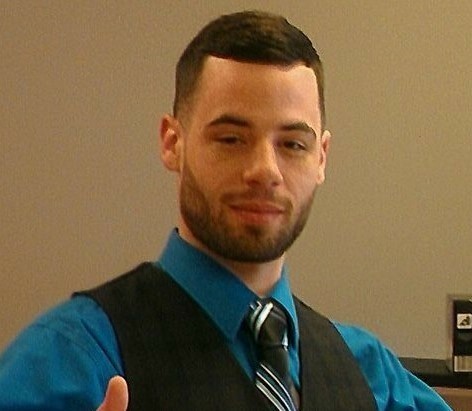 Jeffrey Torrence Jr. age 25 of Columbus, passed away June, 19, 2016. He is survived by his mother, Linda Abraham; father, Jeffrey Torrence Sr.; sister, Lisa Kartler; brothers, Rick Abraham, Mike Abraham and Harry Bartlett; niece, Brandy and Glen Campbell; nephew, Michael Kartler; girlfriend, Kristi Jean Anderson; and loving pet Rocco. A Celebration of Life will be held July 7, 2016 from 6-8 pm at the Paquelet-Falk Funeral Home, 303 S Chapel St, Louisville. Condolences and special memories may be shared online at www.heritagecremationsociety.com. 2 Tributes to Jeffrey Torrence Jr.
Linda and family, I am so deeply sorry to hear about Jeff. He was a wonderful son, brother,uncle and friend. I am unable to attend the memorial but I wanted you all to know that I’m thinking of you at this very sad time. Jeff is now wrapped in his God’s loving arms where he will remain for eternity. I pray his family will find some comfort in knowing this. My condolences to you Linda and may peace be with you. Love you all, Dar. My deepest sympathies go out to you and your family. My thoughts & prayers are with you at this difficult time. May god give you comfort and peace that your seek and may the souls of your loved one rest in peace. I will never forget little league baseball growing up as kid. Those memories are the best! Go Padres!